What is Childaid Network all about? What’s important for us and how do we work? Answers to these and a lot more questions in this Q&A! What is Childaid Network about? Childaid Network is a medium sized Children’s fund, that gives needy children and youths in South Asia (currently in Nepal, North East India, Myanmar, Bangladesh and Laos) access to education and vocational training. In 2016 more than 30,000 young people were directly supported in around 30 educational projects. Who is behind Childaid Network? Childaid Network was established in 2007 by the married couple Dr. Cladders/Dr. Kasper with their own capital as a legally registered foundation to help needy children. Today, the honorary management board comprises two managers with many years experience as well as the founder. More than 100 voluntary helpers of all age groups are engaged in the team. Over 10,000 people and many enterprises promote the projects. What is special in the projects of Childaid Network? Childaid Network looks after the poorest of the poor. With strong partners in the target countries, sustainable project concepts are developed and implemented. The projects do not provide alms, but help to self-help and call on local contributions from the beneficiaries so far as possible, from enterprises and the state. Predominantly the support goes into the salaries of teachers, social workers and project managers; little is invested in buildings. How are the projects accompanied? The foundation closely accompanies the projects. It accompanies the partners and evaluates the project results. Experts help with improvement of the concepts. Advisers work on site. More than 100 multipliers, journalists and photographers have made a picture for themselves and have reported positively thereon. Which key figures describe the effect of the projects? From 2007 to 2016 more than €6.5 million was invested into the projects. With this, more than 100,000 young people were assisted directly. For instance, more than 20,000 youths without basic school education have learned to read, write and do basic arithmetic, tens of thousands visited bridge courses, about 8,000 young adults received vocational training, 6,000 children born in refugee camps were integrated into schools. How high are the administrative costs of Childaid Network? Due to the voluntary engagement and donated materials like office, graphics or postage, Childaid Network needs only 2.5% of the income for administration. 3% is spent on public and donator relations. 95% of the funds go directly into the projects (2016 Figures). How is Childaid Network supervised? The foundation is a charity. The Charity Supervision Body and the Tax Authorities examine the foundation on an annual basis. The chartered accountants examine and certify yearly processes, the bookkeeping and annual accounts. A 10-person supervisory board of high caliber leaders, controls and accompanies the work of the foundation. The foundation reports tranparently: Annual report and web page present detailed information. Which awards has Childaid Network received? In 2011 Childaid Network was selected from 1,800 foundations as the best foundation in the State of Hesse. In 2012 the foundation was benefit partner of the Rheingau Music Festival, in 2013 a major project of Childaid Network was promoted by the ‚F.A.Z. reader’s help‘ campaign. The endowment is an exclusive CSR partner of a row of large enterprises. It is classified by neutral examiners as especially worthy of support. 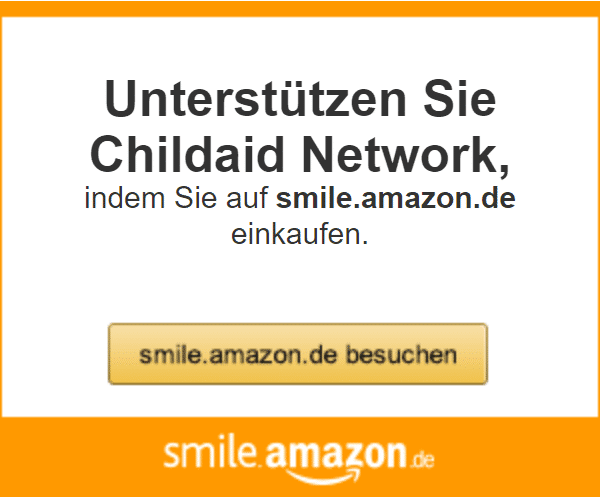 Do you want to be involved with Childaid Network? In order to allow a good future for all children, it needs the contribution of many. We are grateful to everyone who contributes with time, ideas or his network to our vision. If you want to engage with us or plan a donation activity for needy children please contact us, we are happy to assist. You want to know more? Go ahead and take a look around our website! All the important documents, project reports, and all editions of our own magazine „Durchblick“ can be found in the General Information Section.